For the first time, the entire body of Louis L’Amour’s short fiction is now available together in this historic eBook bundle. 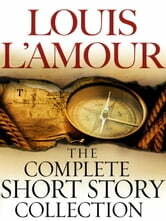 Gathering more than two hundred short stories originally anthologized across seven volumes, this one-of-a-kind edition is a treasure trove of rare gems for his millions of fans, as well as those who have yet to discover L’Amour’s thrilling prose—and his vital role in capturing the spirit of the Old West. The majority of the pieces are set on the American frontier, the crucible in which character is tested, reputations are won or lost, and life always hangs in the balance. These are classic stories no reader can resist—or ever forget: A soft-spoken young suitor proves his courage when the guns are against him—without firing a shot . . . A man finds a gruesome mystery at the site where a friend’s ranch has vanished into thin air . . . A couple takes refuge in a cabin with a group of outlaws who don’t intend to let them see sunrise . . . A ranch foreman stands up to his boss, his men, and conspirators who seem to have both right and might on their side . . . A sheriff patiently sets a trap for a serial killer in a town where fourteen men have already died. This bundle also collects L’Amour’s lesser-known adventure stories, which journey from the harsh steppes of East Asia to a downed commercial plane dangling six hundred feet above certain doom. Also included are crime stories set in L’Amour’s own time, whether in a boxing underworld rife with corruption, the penthouses of the rich and arrogant, or along freight docks where laborers earn just enough to get by. 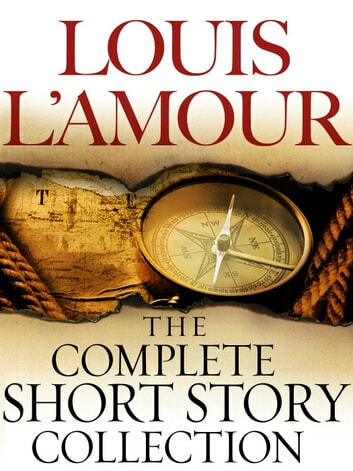 L’Amour is the master storyteller of honest thieves and crooked lawmen, of dream chasers and treasure hunters, of men and women hoping for a second chance and others down to their last—from ordinary folks to heroes who have become a part of our cultural legacy. Together in this vivid, rollicking eBook bundle, they bring to life the national spirit and confirm Louis L’Amour’s place at the very top of the pantheon of American writers. This is a great collect of 0ld westerns, you can pick up and enjoy reading anytime you have an hour or so to spend. Louis Lamour was one of the best ever. These stories are good anytime.